Independent Bank: Making Employee Volunteer Incentives Work! Independent Bank didn’t formalize their volunteer program until mid-2013. Less than five years later, they’re enjoying high employee participation in the program. In this feature, we take a look at how they got here. Hint: one of their secrets to success is incentivizing volunteerism. Independent Bank had always collected data on volunteerism. As a financial institution, they have regulatory requirements under the Community Reinvestment Act they must adhere to. In 2013, they partnered with VolunteerMatch to formalize the program, and give its official name: Community Connection. After familiarizing employees with the new program and sharing ways to get involved, employee volunteerism picked up in 2014. “We began promoting the program a little more with a couple of campaigns,” recalls Samantha Gruber, HR regional trainer at Independent Bank. 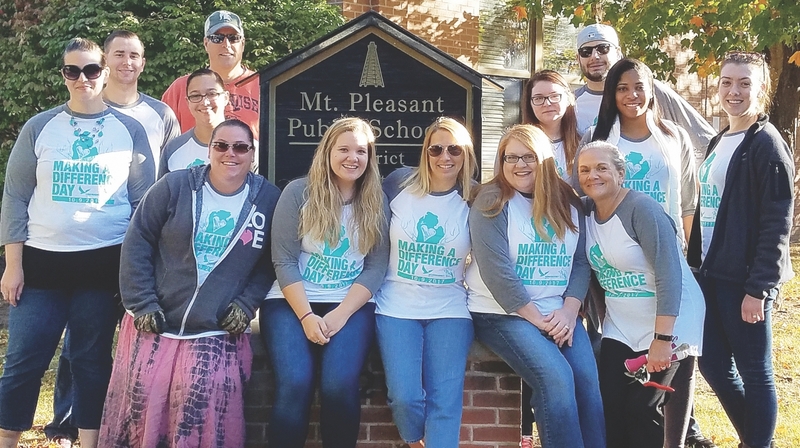 In 2016, Samantha and her team launched Independent Bank’s first-ever annual day of giving: Making a Difference Day. They closed the Bank’s 63 Michigan offices, and each department was given free reign to decide where they wanted to volunteer. The only criteria was that at least four hours needed to be spent volunteering. Nearly all of the Bank’s employees participated, volunteering for a total of 67 different projects. Building on the success of its first year, Independent Bank was ready to hold their second annual day of giving in 2017. But in addition to that, Samantha wanted to expand and diversify the volunteer program even more over the course of 2017. After volunteering for a benchmark number of hours (10, 25, 50, and 100), employees get to choose a reward. Each tier has its own set of gifts to choose from, including company-branded swag such as a blanket, coffee mug, desk clock, bluetooth speaker, and various apparel. All rewards are exclusive to their volunteer program. In other words, the only way for their employees to get these items is to volunteer—pretty awesome, right? The most notable effect they’ve experienced from these changes? The number of tracked volunteer hours grew significantly—by over 25%! The average Independent Bank employee now volunteers nearly 24 hours a year. Have you incentivized your employee volunteer program? Let us know how that’s worked for you in the comments section below! Ready to formalize your own company’s volunteer program? VolunteerMatch can help. Learn how.